We are delighted to announce a new addition to our company this year in the form of this magnificent wooden motor yacht recently released into our care by the Duke of Abercorn. 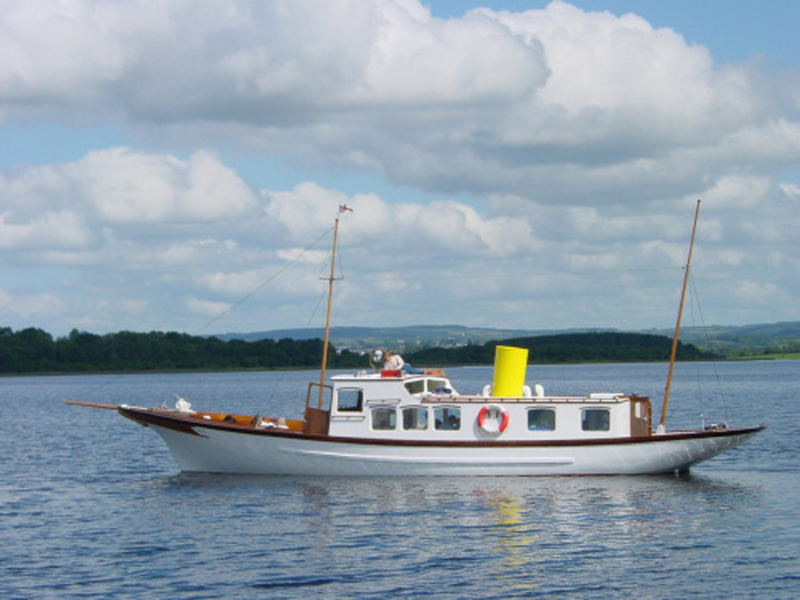 Designed and built for Fermanagh Waters by GL Watson & Co., Glasgow in 1974 by the 5th Duke or Westminster, the recently refurbished MV Trasna is a beautiful, classic, clipper style wooden motor yacht and is one of the finest traditional yachts in Ireland. The vessel is 54ft in length and can accommodate 16 passengers in comfort. It sports a splendid figurehead on her bow, a golden sheaf of wheat incorporating the Grosvenor crest. Currently owned by the Duke of Abercorn and moored at Belle Isle Estate, Lisbellaw. Catering on board can be arranged. 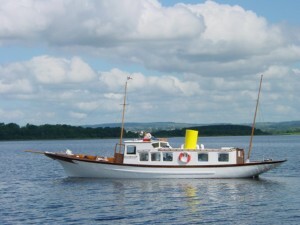 MV Trasna is suitable for private parties, weddings and corporate events.